General: 5 Terminals: Terminal 4 is to the south of the airport, while Terminals 1, 2 & 3 are in the central area and inter-connected by underground and overground walkways. Terminal 5 is to the West. Terminal 2 has now re-opened. 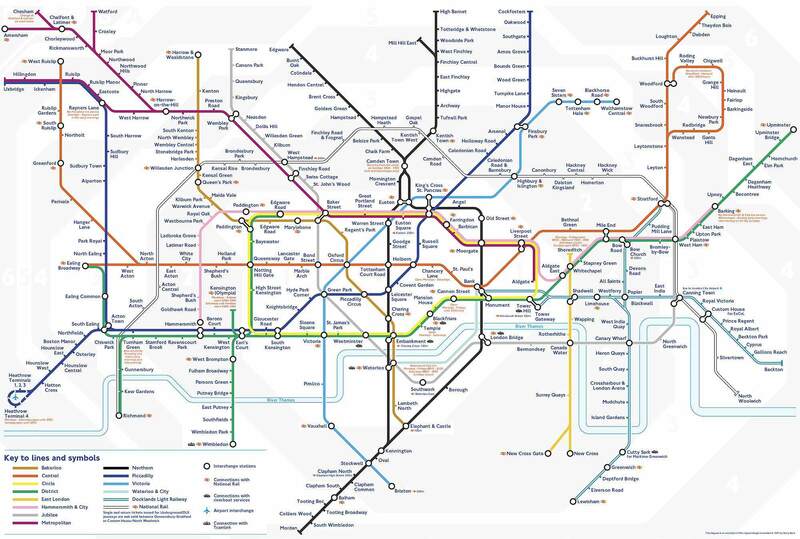 There is an Underground/Tube station in the central area as well as a bus station & Heathrow Express Station. T4 has its own bus station as well as an Underground & Heathrow Connect Train stations. Terminal 5 has its own Underground and Heathrow Express Stations. The Heathrow Express train has stations at the central area and at T5. Terminal 1 Airlines: Aegean, Aer Lingus, Air New Zealand, Asiana, Austrian, British Airways (flights to and from Amman, Baku, Beirut, Belfast City, Cairo, Dublin, Hanover, Luxembourg, Lyon, Marseille, Rotterdam), brussels Airlines, Croatia Airlines, Cyprus Airways, El Al, Icelandair, LOT, Lufthansa, South African, Swiss, TAP Air Portugal, TAM & US Airways. Terminal 2: Airlines: Terminal 2 will serve the Star Alliance airlines, and these airlines will move in gradually over the course of 2014. At the moment United Airlines operate from Terminal 2. Layout: Terminal 2 is built on 4 levels, curiously named -1, 0, 1 and 5. Level -1 is for the walkways to get to The Heathrow Express, Central Bus Station and Underground (Tube). Level 0 is for Taxis and buses (no public buses call at the terminal). Level 1 is for arrivals. Level 5 is for departures and check in. Terminal 3 Airlines: Air Canada, Air China, Air India, Air Mauritius, All Nippon, American Airlines, Biman, Blue1, British Airways (flights to Bangkok, Budapest, Gibraltar, Helsinki, Lisbon, Prague, Vienna & Warsaw), Cathay Pacific, Egypt Air, Emirates, Ethiopian, Eva Air, Finnair, Iran Air, Japan Airlines JAL, Kibris Turkish, Kuwait Airways, Middle East Airlines, Oman Air, PIA Pakistan, QANTAS, Qatar, Royal Jordanian, SAS Scandinavian, Saudi Arabian, Singapore Airlines, Thai, Turkish Airlines, Turkmenistan Airlines, Virgin Atlantic & Vueling. Terminal 4 Airlines: Aeroflot, Air Algerie, Air Astana, Air France, Air Malta, Air Seychelles, Air Transat, Alitalia, Arik Air, Azerbaijan Airlines, Bulgaria Air, China Eastern, Continental, CSA Czech, Delta, Etihad, Gulf Air, JAT, Jet Airways, Kenya Airways, KLM, Korean, Libyan Arab, Malaysia Airlines, Olympic, Rossiya, Royal Air Maroc, Royal Brunei, Sri Lankan, Syrian, Tarom, Tunis Air, Uzbekistan Airlines & Yemenia. Terminal 5 Airlines: Airlines: British Airways (entire operation except flights to Amman, Baku, Bangkok, Beirut, Belfast, Budapest, Cairo, Dublin, Gibraltar, Hanover, Helsinki, Lisbon, Luxembourg, Lyon, Marseille, Prague, Rotterdam, Vienna & Warsaw). Also Iberia flights. Layout: Terminal 5 is built on 3 levels. Level 0 is for arrivals, taxis and public buses. The Heathrow Express and Underground (Tube) are in the basement. Level 3 is for departures and check in. Location: London Heathrow Airport is 25 km/15 Miles W of Central London, 12 km/8 Miles E of Windsor, 6 km/4 Miles NE of Staines. Regular Airport taxi: To the City Centre £35-60/45-70 mins or more, Marble Arch ~£46, Heathrow Area Hotels ~£10/10 mins, Feltham ~£25/20 mins, Stockley Park ~£9/10 mins. Black Cab fares from the Airport (it may be much cheaper to call a local taxi company): To Ascot £70, Birmingham £290, Bournemouth £250, Bracknell £85, Brighton £185, Burnham £55, Camberley £85, Chalfont £65, Chertsey £55, Chesham £90, Cheshunt £115, Chobham/Cobham £70, Colnbrook £55, Crawley £125, Datchet £55, Denham £55, Dorking £90, Dunstable £115, East Horsley £75, Egham £55, Englefield Green £55, Eton £55, Farnborough £95, Fleet £90, Frimley £90, Gatwick Airport £120, Gerrards Cross £55, Godalming £95, Guildford £90, High Wycombe £80, Iver £55, Leatherhead £75, Luton £120, Maidenhead £65, Marlow £70, Milton Keynes £155, Newbury £150, Oxford £145, Oxshott £70, Reading £95, Redhill £95, Reigate £90, St Albans £90, Slough £55, Southampton £215, Stansted Airport £180, Sunningdale £160, Twyford £80, Virginia Water £55, Walton on Thames £55, Watford £75, Weybridge £65, Windsor £55, Woking £65.London Taxis can take up to 5 passengers. Call Heathrow Airport Licensed Taxis on 020 8745 5325. Other Companies: ASAP Cabs 020 8751 3377, British Airport Cars +44 (0)1634309660, Checker Cabs 020 8890 3333 or 020 8751 1000 & Eagle Cars 020 8894 1414 or 1515. Airport Express has set fares to and from this airport. Tel 020 8570 1234, 020 8570 8018 or 020 8577 3366. CAT (Call Airport Transfer): Tel 020 8898 9555. Prices for up to 4 people. Airport pick up service £5 extra (includes 30 mins waiting time). Hanworth £16, Twickenham or Teddington £18, St Margarets £21, Richmond £22 & Ham or Kingston £25. Bus N9 Night service to central London: Route: Heathrow Airport Central - Heathrow Airport North - Harlington Corner (6 mins) - Cranford (Jarvis Hotel) - Hounslow West Tube station - Hounslow (Bell) - Hounslow Bus station (17 mins) - Isleworth (Busch Corner) - Brentford - Kew Bridge Station (26 mins) - Gunnersbury Station - Turnham Green Church - Stamford Brook Bus garage (32 mins) - Hammersmith Broadway Bus station (38 mins) - Kensington, Olympia - High St Kensington Tube station (43 mins) - Royal Albert Hall - Hyde Park Corner (49 mins) - Green Park Tube station - Piccadilly Circus (53 mins) - Trafalgar Square (Cockspur St) - Aldwych (1 hour). Timings: Buses leave the airport nightly Tue-Fri mornings at 0005 then every 20 mins until 0505. Sunday Night/Monday Morning every 20 mins 2345-0505. Friday Night/Saturday Morning every 20 mins 0005-0505 & 0535. Saturday Night/Sunday Morning every 20 mins 0005-0535. Buses leave Aldwych nightly Tue-Fri mornings at 0005, 0020 then every 20 mins until 0520. Sunday Night/Monday Morning every 20 mins 2325-0520. Friday Night/Saturday Morning every 20 mins 0010-0520. Saturday Night/Sunday Morning every 20 mins 0005-0505 & 0535. Cost: Oyster Card/contactless fare £1.45. Cash not accepted. Bus 75 & 76 to Maidenhead & Slough: Route: Heathrow Heathrow Airport Central Area - Bath Rd (Compass Centre) - Brands Hill/Sutton Lane - Axis Park - Tamar Way/Longwood Ave - Langley (The Harrow) - Slough Bus Station - Salt Hill (3 Tuns) - Bath Rd, Sainsbury's - Cippenham (Mercian Way) - Bath Rd Sainsburys - Maidenhead (Bridge) - Maidenhead (Frascati Way). Timings: Buses leave the airport Mon-Sat at 0410 (terminates at Slough), 0500, 0530, then every 15-30 mins until 2320. Sundays every hour 0615-2220. Extra trips run as far as Slough every hour 0445-2250. Buses leave Maidenhead Mon-Sat at 0605, 0650, then every 30-40 mins until 2220. Saturdays every 30-60 mins 0652-2220. Sundays every hour or so 0718-2220. Cost: To Slough adult one-way £4.30. Oyster cards and travel cards not accepted on this bus. Bus 105 to Greenford: 24 hr service Route: Heathrow Airport Central Area - Compass Centre - Bath Road - Harlington Corner - Cranford - Southall - Greenford (station). Timings: Runs 24 hrs a day. Buses leave the airport every 10-30 mins from bus stop 19 at the central bus stop at Heathrow. Cost: Oyster Card/contactless fare £1.45. Cash not accepted. Travel between the terminals, Hatton Cross and Heathrow Airport North is free. Bus 111 to Kingston: Route: Heathrow Airport Central Area - Heathrow Airport North - Cranford - Heston - Hounslow East Tube Station - Hounslow Bus Station - Hanworth Rd - Hanworth Swan - Hampton Station - Hampton Court - Kingston, Cromwell Rd Bus Station. Timings: Buses leave the airport daily 0455-0006 every 12-30 mins from bus stop 20 at the central bus stop at Heathrow. Bus 140 to Harrow: 24 hr service Route: Heathrow Airport Central Area - Heathrow Airport North - Harlington Corner - Hayes & Harlington Train Station (for rail connections to Slough, Maidenhead, Taplow & London Paddington) - Hayes (Grapes) - Yeading (White Hart) - Northolt Station - South Harrow Station - Harrow Bus Station - Harrow & Wealdstone Station - Harrow Weald bus garage. Timings: Buses leave the airport every 6-30 mins 24 hrs a day, every day from bus stop 19 at the central bus stop at Heathrow. Travel Times: To Hayes 30 mins, Northolt 45 mins, Harrow 1 hour & arrow Weald Bus Garage 1 hr 15. Bus 285 to Kingston: 24 hr service Route: Heathrow Airport Central Area - Heathrow Airport North - Harlington Corner - Hatton Cross (Free) - Feltham and Feltham Rail station - Hanworth (Sainsburys) - Hampton Hill - Teddington - Hampton Wick - Kingston bus station. Timings: Buses run 24 hrs from bus stop 20 at the central bus stop at Heathrow every 10-30 mins. Travel Times: To Hatton Cross 15 mins, Feltham Train Station 30 mins, Teddington 45-50 mins & Kingston 65-75 mins. Abellio Bus 441 to Staines & Englefield Green: Route: Airport Central Bus Station - Terminal 5 (9 mins) - Stanwell Moor (13 mins) - Stanwell (Wheatsheaf) - Stanwell (Happy Landing) - Ashford Hospital (23 mins) - Staines Bus Station (30 mins) - Pooley Green - Egham, Arndale Way (42 mins) - Englefield Green (Holly Tree) - Englefield Green, Elmbank Ave (50 mins). Timings: Buses leave the airport Mon-Fri at 0500 (terminates at Staines), 0530 (terminates at Staines), 0605, 0635, 0654, 0720, 0755, 0825, 0855 then every ~30 mins until 2140 & 2210 (terminates at Staines). Saturdays & Good Friday: 0500 (terminates at Staines), 0530 (terminates at Staines), 0605, 0640, 0655 then every ~30 mins until 2140 & 2210 (terminates at Staines). Sundays & Holidays: every 30 mins 1009-1809. Buses leave Englefield Green Mon-Sat every ~30 mins 0530-2110. Sundays: 0900, 1000, 1100, 1200, 1300, 1500, 1600 & 1700. Cost: One way £1.60-3.70 depending on distance travelled. Round trip £2.50-6.10. Week saver £12-24. Oyster cards and travel cards not accepted on this bus. Bus 555 & 556 to Walton on Thames: Route: Heathrow Central Bus Station - Heathrow Airport North - Harlington Corner - Hatton Cross - Terminal 4 (Bus stop 7) - Stanwell (Happy Landing) - Ashford Hospital (Middx) - Ashford - Sunbury Cross - Sunbury Village (555 & 557 Buses only) - Upper Halliford (556 Bus only) - Shepperton - Walton Bridge - Walton Walton-on-Thames station. Timings: Buses leave the airport (Heathrow Airport Central Area) Mon-Sat at 0445, 0545, 0640, 0700, then every 15-20 mins until 2005, then every 30 mins until 2205. Sundays at 0445, 0545 and then every ~30 mins until 2205. Travel Times: To Hatton Cross 15 mins, Terminal 4 20 mins, Ashford 30 mins, Sunbury 40 mins & Walton 70 mins. Bus 557 to Addlestone: Route: Heathrow Central Bus Station - Heathrow Airport North - Harlington Corner - Hatton Cross - Terminal 4 (Bus stop 7) - Stanwell (Happy Landing) - Ashford Hospital (Middx) - Ashford - Sunbury Cross - Sunbury Village - Shepperton - Chertsey - St Peter's Hospital - Addlestone. Timings: Buses leave the airport (Heathrow Airport Central Area) Mon-Sat only at 0615, 0700, 0805, then every hour until 1905. No Sunday service. Travel Times: To Chertsey 1 hour, Addlestone 1:25. Oyster Card/contactless fare £1.45. Cash not accepted. Travel between the terminals, Hatton Cross and Heathrow Airport North is free. Route: Terminal 5 (bus stop 9) - Heathrow Central Bus Station (Bay 2) - Hillingdon Hospital - Brunel University - Uxbridge (Belmont Rd) - Denham Station - Maple Cross - Rickmansworth Station - Croxley - Watford (Clarendon Rd stop 16) - Watford Junction Train Station - Garston - Chiswell Green - St Albans (St Peters St stop 13) - St Albans Station Interchange - Oaklands - Hatfield Town centre Market Place - Hatfield Station Interchange - Welwyn Garden City (Hospital & Bus Station bay 6) - Panshanger - Birch Green - Hertford North Station - Hertford Bus Station stop 4 - Ware - St Margarets Station - Harlow Bus Station. Timings: Departs Heathrow Central Bus station Mon-Fri at 0625, 0800, 0915, then every 60 mins or so until 1715, 1830, 1930, 2030, 2130 & 2235. Saturdays at 0625, 0815, then every 60 mins or so until 1915, 2010, 2130 & 2235. Sundays every 2 hrs 0912-1912, 2130 & 2235. Travel Times: To Harlow 2:40, St Albans ~1:30. Bus A10 to Stockley Park & Uxbridge: Route: Heathrow Airport Central Bus Station - M4 Spur Rd - Stockley Road to Horton Rd - Stockley Park (Horton Rd, Roundwood Ave & The Square) - Harlington Rd - Hillingdon Hill - Hillingdon Rd - Uxbridge Station. Timings: Buses leave the airport Mon-Sat every 15-20 mins 0505-0040. Sundays every 30 mins 0510-0040. Buses leave Uxbridge Station 0430-0000. Transfer Times: To Stockley Park 4-11 mins & Uxbridge 27 mins. Carousel Bus A30 to Amersham & Chesham: Route: Heathrow Heathrow Airport Central Area (bus stop 4) - Hillingdon Rd (The Greenway) - Uxbridge Bus & Tube Station - Uxbridge High St - Denham (Cheapside Lane) - Gerrards Cross (French Horn) - Gerrards Cross Station - Nicol Rd Leisure Centre - Chalfont St Peter High St - Chalfont St Giles (Pheasant) - Stanley Hill (Amersham School) - Amersham Station - Chesham Broadway Undergropund station. Timings: Buses leave the airport Mon-Fri at 0700, 0805, 0915, 1010, then every hour until 1610, 1745 & 1905. Saturdays at 070, 0815, 0910, then every hour until 1610 & 1745. No Sunday service. Transfer Times: Takes ~70 mins to Chesham Broadway. Carousel Bus A40/740 to High Wycombe: Route: Heathrow Heathrow Airport Central Area (bus stop 4) - Hillingdon Rd (The Greenway) - Uxbridge Bus & Tube Station - Denham (Cheapside Lane) - Gerrards Cross (French Horn) - Beaconsfield (Saracens Head) - Hotspur (Harvester) - Loudwater (LOndon Rd/Station Rd) - Wycombe Marsh (Post Office) & High Wycombe Bus Station. Timings: Buses leave the airport Mon-Fri at 0635, 0705, 0740 then every hour until 1640, 1720, 1825, 1900 & 1930. Saturdays at 0727, 0810, then hourly 0940-1740 & 1820. On Sundays at 0700, 1000, then every 2 hrs until 2000. Transfer Times: Takes ~65 mins to High Wycombe. Bus U3 to Uxbridge: Route: Heathrow Airport Central Area - Heathrow Airport North - Hatch Lane/Bath Rd - Harmondsworth - Wise Lane - West Drayton Station (connect here to mainline trains) - Yiewsley - Hillingdon Hospital - Cleveland Rd/Brunel University - The Greenway - Uxbridge station. Timings: Runs every 15-30 mins from bus stop 18 at the central bus stop at Heathrow. First bus from the Airport is 0511 and from Uxbridge 0430. Last bus from the Airport is 0017 and from Uxbridge 2346. Bus X26 (Limited Stop) to Kingston & East Croydon: Route: Heathrow Airport Central Area - Hatton Cross - Teddington (Broad St) - Kingston (John Lewis) - Kingston (Clarence St) - New Malden (Fountain) - Worcester Park Station - North Cheam (Cheam Common Rd) - Cheam Village (Broadway) - Sutton Post Office - Carshalton High St - Wallington Green - East Croydon Train Station (connect here for Gatwick Airport) - West Croydon Bus Station. This bus stops ONLY at the points mentioned above. Timings: Buses depart the airport (Central bus station) Mon-Fri: 0550, 0640, 0735, 0845, 0950, then every hour until 1350, 1445, 1545, 1645, 1800, then every hour until 2200, 2240 & 2340. Saturday: 0600, 0700, 0755, 0850, then every hour until 1650, 1755, 1900, then hourly until 2200, 2240 & 2340. Sundays & Holidays: 0600, 0700, 0755, 0850, then hourly until 1650, 1755, 1900 then hourly until 2200, 2240 & 2340. Buses depart from East Croydon to a similar schedule. First bus 0420, last bus 2200. Transfer times: To Teddington 30 mins, Kingston 35-40 mins, New Malden 50 mins, Sutton 60 mins & East Croydon 1 hour 20. Cost: Oyster Card/contactless fare £1.45. Cash not accepted. This bus is not free between Terminal 1, 2 & 3 and Hatton Cross. Hotel Hoppa: Hotel Hoppa runs 9 different routes, calling at each terminal and a selection of the main hotels situated nearby. Many of these hotels are located at Heathrow Airport North. Hoppa Bus H1: Holiday Inn, Novotel & Crowne Plaza. Hoppa Bus H2: Park Inn & Renaissance. Hoppa Bus H3: Radisson, Marriott & Skyline. Hoppa Bus H4: Thistle, Sheraton, Holiday Inn. Hoppa Bus H5: Slough/Windsor Marriott & Quality Heathrow. Hoppa Bus H6: Holiday Inn Ariel, Premier Travel Inn & Renaissance. Hoppa Bus H7: Holiday Inn & Premier Travel Inn (M4). Hoppa Bus H8: Comfort Hotel & Premier Travel Inn (M4). Hoppa Bus H9: Jurys Hotel (Hatton Cross). Timings: The services run frequently from ~0435-2310. Cost: £4 one way, £5 return. Children aged 5-15 travel free with each adult. Children under 5 travel free. To buy your ticket or for more information, visit the bus desk in the arrivals area at any terminal. Tickets can also be bought from the relevant hotel. Click here for more info. Borough Bus 77 to Windsor: Route: Heathrow Heathrow Airport Central Area - Colnbrook - Langley - Windsor - Dedworth. Timings: Runs ~every 30 mins 0520-2240 to Thames St opposite the Castle in Windsor and then on to Dedworth. Bus N9 Night service to central London: Route: Heathrow Airport Central Area - Heathrow Airport North - Harlington Corner (6 mins) - Cranford (Jarvis Hotel) - Hounslow West Tube station - Hounslow (Bell) - Hounslow Bus station (17 mins) - Isleworth (Busch Corner) - Brentford - Kew Bridge Station (26 mins) - Gunnersbury Station - Turnham Green Church - Stamford Brook Bus garage (32 mins) - Hammersmith Broadway Bus station (38 mins) - Kensington, Olympia - High St Kensington Tube station (43 mins) - Royal Albert Hall - Hyde Park Corner (49 mins) - Green Park Tube station - Piccadilly Circus (53 mins) - Trafalgar Square (Cockspur St) - Aldwych (1 hour). Timings: Buses leave the airport (Central Area) nightly Tue-Fri mornings at 0005 then every 20 mins until 0505. Sunday Night/Monday Morning every 20 mins 2345-0505. Friday Night/Saturday Morning every 20 mins 0005-0505 & 0535. Saturday Night/Sunday Morning every 20 mins 0005-0535. Buses leave Aldwych nightly Tue-Fri mornings at 0005, 0020 then every 20 mins until 0520. Sunday Night/Monday Morning every 20 mins 2325-0520. Friday Night/Saturday Morning every 20 mins 0010-0520. Saturday Night/Sunday Morning every 20 mins 0005-0505 & 0535. Cost: Oyster Card/contactless fare £1.45. Cash not accepted. Bus 81 to Hounslow & Slough: Route: Runs along the Airport Northern boundary (Bath Rd) eastbound to Cranford and Hounslow or westbound to Longford, Colnbrook, Langley and Slough. Detailed Route: Hounslow Bus Station - Hounslow (Bell) - Hounslow West Underground Station - Cranford - Heathrow Airport North - Bath Rd/Hatch Lane - Colnbrook - Langley - Slough (St Bernard's Convent, Queensmere Shopping Centre & Bus Station). Timings: Buses run every 15-30 mins 0448-0040. Cost: Oyster Card/contactless fare £1.45. Cash not accepted. No free travel area. Bus 90 to Feltham: Route: Feltham (Leisure West) - Feltham High St (near Feltham train station) - Hatton Cross - Harlington Corner (Heathrow Airport North/A4) - Hayes & Harlington Train Station (for rail connections to Slough, Maidenhead, Taplow & London Paddington) - Hayes End (Crown) - Yeading (White Hart) - Northolt Underground Station. Timings: Buses run Mon-Sat 0440-0152 every 10-20 mins. Sundays every 20-30 mins 0540-0152. Timings: Buses leave the airport (central area) daily 0455-0006 every 12-30 mins from bus stop 20 at the central bus stop at Heathrow. Cost: Oyster Card/contactless fare £1.45. Cash not accepted. Travel between the terminals, Hatton Cross and Heathrow Airport North is free. Note: If you are going to Kingston, the 285 bus is much quicker than the 111. Bus 140 to Harrow: Route: Heathrow Airport Central Area - Heathrow Airport North - Harlington Corner - Hayes & Harlington Train Station (for rail connections to Slough, Maidenhead, Taplow & London Paddington) - Hayes (Grapes) - Yeading (White Hart) - Northolt Station - South Harrow Station - Harrow Bus Station - Harrow & Wealdstone Station - Harrow Weald bus garage. Timings: Buses leave the airport every 6-30 mins 24 hrs a day, every day from bus stop 19 at the central bus stop at Heathrow. Travel Times: To Hayes 30 mins, Northolt 45 mins, Harrow 1 hour & arrow Weald Bus Garage 1 hr 15. Bus 222 to Uxbridge: Route: Runs along Heathrow Airport North. Hounslow bus station - Hounslow West - Cranford - Heathrow Airport North (Bath Rd) - Sipson - West Drayton - Yiewsley - Cowley - Uxbridge Station. Timings: Buses run 24 hrs from bus stop 20 at the central bus stop at Heathrow every 10-30 mins. Travel Times: To Hatton Cross 15 mins, Feltham Train Station 30 mins, Teddington 45-50 mins & Kingston 65-75 mins. Bus 423 to Hounslow: Route: Heathrow Terminal 5 - Longford White Horse - Heathrow Airport North - Bath Rd - Hatton Cross - Beavers Farm Estate - Hounslow Barracks - Hounslow (Bell) - Hounslow Bus Station. Timings: Buses leave T5 every 20-30 mins 0515-0014. Cost: Oyster Card/contactless fare £1.45. Cash not accepted. Travel between Terminal 5, Hatton Cross and Heathrow Airport North is free. Bus 482 to Hounslow & Southall: Route: Southall Town Hall - Southall Station - Western Road -Southall Lane - Cranford High Street - Cranford The Avenue - Bath Road - Harlington Corner - Eastern Perimeter Road - Hatton Cross Station - Heathrow Terminal 4 - Heathrow Cargo Centre - Heathrow Terminal 5. Timings: Buses leave Heathrow cargo Centre daily 0525-2211 every 15-30 mins. Buses leave Southall daily 0445-2130 every 15-30 mins. Cost: Oyster Card/contactless fare £1.45. Cash not accepted. This bus is free within the Heathrow airport area. Bus 557 to Addlestone: Route: Heathrow Central Bus Station - Heathrow Airport North - Harlington Corner - Hatton Cross - Terminal 4 (Bus stop 7) - Stanwell (Happy Landing) - Ashford Hospital (Middx) - Ashford - Sunbury Cross - Sunbury Village - Shepperton - Chertsey - St Peter's Hospital - Addlestone. Timings: Buses leave the airport (Heathrow Airport Central Area) Mon-Sat only at 0615, 0700, 0805, then every hour until 1905. No Sunday service. Travel Times: To Chertsey 1 hour, Addlestone 1:25. Hotel Hoppa: Hotel Hoppa runs 9 different routes, calling at each terminal and a selection of the main hotels situated nearby. Many of these hotels are located at Heathrow Airport North. Hoppa Bus H1: Holiday Inn, Novotel & Crowne Plaza. Hoppa Bus H2: Park Inn & Renaissance. Hoppa Bus H3: Radisson, Marriott & Skyline. Hoppa Bus H4: Thistle, Sheraton, Holiday Inn. Hoppa Bus H5: Slough/Windsor Marriott & Quality Heathrow. Hoppa Bus H6: Holiday Inn Ariel, Premier Travel Inn & Renaissance. Hoppa Bus H7: Holiday Inn & Premier Travel Inn (M4). Hoppa Bus H8: Comfort Hotel & Premier Travel Inn (M4). Hoppa Bus H9: Jurys Hotel (Hatton Cross). Timings: The services run frequently from ~0435-2310. Cost: £4 one way. Up to 2 children aged under 15 travel free with each adult. To buy your ticket or for more information, visit the bus desk in the arrivals area at any terminal. Tickets can also be bought from the relevant hotel. Click here for more info. To London Gatwick: Taxi from a minimum of £60/45-90 mins depending on traffic. Airport to Airport Transfers from Prestige Cars: To Gatwick Airport £46. Contact: +44 333 123 1818. Notes from a Traveller December 2010: My mum said their service was "exceptional". Good contact, pleasant driver who met them in the arrivals hall, brand new & clean BMW vehicle and a fast service. Plus they paid the driver directly. Hassle free. To London Stansted: Airport to Airport Transfers from Prestige Cars: To Stansted Airport £76. Contact: +44 333 123 1818. To London Luton: Airport to Airport Transfers from Prestige Cars: To Luton Airport £55. Contact: +44 333 123 1818. To London City Airport: By Taxi ~£65/40-80 mins. Or use Heathrow Express to Central London and change to the Underground. To Southampton Airport: Airport to Airport Transfers from Prestige Cars: To Southampton Airport £74. Contact: +44 333 123 1818. On-Airport Rental Car Providers: National/ALAMO, AVIS, Budget, Enterprise, EUROPCAR, eSixT & Hertz have desks in all 3 terminals. Cars are generally stored on the airport northern perimeter and reached by shuttle buses. Short Stay Parking: Recommended for stays up to 5 hrs. Each of the 4 terminals has its own short stay car park. There is also a 5th car park in the central terminal area, car park 1a. For any longer stays, use the Long Stay car park. Costs: Up to 30 mins £2.30, 30 mins-1 hour £3.90, 1-1½ hours £5.80, 2 hours £7.40, 3 hrs £10.20, 4 hrs £13.50, 5 hrs £16.40, 6 hrs £20.30, 9 hrs £29.40, 12 hrs £38.20, 18 hrs £42.50, 24 hrs £44.50, 36 hrs £70 & 48 hrs £89. Each extra 24 hrs £44.50. Special Weekend Rate: A special discounted weekend (1600 Friday-1000 Monday) pre-book rate of £35 for 3 days is available for customers who stay on a Saturday night. To take advantage of this offer call 0870 000 1 000 (UK) or +44(0) 121 410 5105 (from outside the UK). For the tariff over 24 hrs, please call the operator: Terminal 1: NCP 020 8745 6520, Terminal 2: NCP 020 8745 7260, Terminal 3: NCP 020 8745 5394.
Business Parking: For travellers who will be parking for up to 2-3 days offering quality parking and rapid transfer to the terminals. Terminal 1: Offers the quickest direct transfer service to Terminal 1 (please note it does not serve the other terminals). Buses run every 5 mins. Transfer time from car park to terminal is ~5 mins. Operated by Park 1, Northern Perimeter Road 020 8759 6785. Terminals 1 & 3: Transfer service to Terminals 1 & 3 every 5 mins. Transfer time from car park to terminal is ~10 mins. Price £18 per day. Operated by Pink Elephant, Northern Perimeter Road 020 8564 8811. 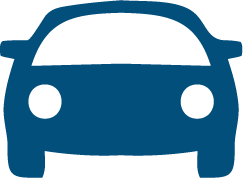 Long Stay/Holiday Parking: Holiday parking or for longer stays. Serves all terminals. 10 minute transfer service to terminals. Trip from car park to terminals takes ~15 mins. Call 0870 000 1 000 (UK) or +44(0)121 410 5105 (from outside the UK). Prices: First day: £13.30, Subsequent days: £13. Operated by Parking Express (APCOA) 0800 626671. Baggage Storage: Left luggage facilities are available in all terminals, operated by the Excess baggage Company. £6 per item per 24 hrs. In Terminal 1 they are on the mezzanine level between departures and arrivals and open 0600-2300. In Terminal 2 they are in departures next to Lufthansa check-in and open 0530-2300. In Terminal 3 they are in arrivals near the car hire desks and open 0500-2300. Notes: ATMs/Cash machines in all terminals. Airport Tel No: +44 (0)870 000 0123. Note: For better transport options, it may be necessary to first transfer from Terminal 4 to Terminals 1 & 3 or to Hatton Cross. Airport Overview: 5 Terminals: Terminal 4 is to the south of the airport, while Terminals 1 & 3 are in the central area and inter-connected by underground and overground walkways. Terminal 5, to the West, is now open. Terminal 2 is now permanently closed. There is an Underground/Tube station in the central area as well as a bus station. T4 has its own bus station. The Heathrow Express train has stations at the central area and at T4. Regular Airport taxi: To the City Centre £35-60/45-70 mins or more, Marble Arch ~£46, Heathrow Area Hotels ~£10/10 mins, Feltham £25/20 mins. Black Cab fares from the Airport (it may be much cheaper to call a local taxi company): To Ascot £70, Birmingham £290, Bournemouth £250, Bracknell £85, Brighton £185, Burnham £55, Camberley £85, Chalfont £65, Chertsey £55, Chesham £90, Cheshunt £115, Chobham/Cobham £70, Colnbrook £55, Crawley £125, Datchet £55, Denham £55, Dorking £90, Dunstable £115, East Horsley £75, Egham £55, Englefield Green £55, Eton £55, Farnborough £95, Fleet £90, Frimley £90, Gatwick Airport £120, Gerrards Cross £55, Godalming £95, Guildford £90, High Wycombe £80, Iver £55, Leatherhead £75, Luton £120, Maidenhead £65, Marlow £70, Milton Keynes £155, Newbury £150, Oxford £145, Oxshott £70, Reading £95, Redhill £95, Reigate £90, St Albans £90, Slough £55, Southampton £215, Stansted Airport £180, Sunningdale £160, Twyford £80, Virginia Water £55, Walton on Thames £55, Watford £75, Weybridge £65, Windsor £55, Woking £65. Call Heathrow Airport Licensed Taxis on 020 8745 5325. Terminal 4 Arrivals: 020 8745 7302. Bus 482 to Hounslow & Southall: Route: Terminal 5 - Cargo Area - Terminal 4 - Hatton Cross - Hounslow West - Heston - Southall Town Hall. Timings: Buses leave Terminal 4 daily every 20-30 mins 0419-0103. Cost: Oyster Card/contactless fare £1.45. Cash not accepted. This bus is free as far as Hatton Cross. Bus 490 to Feltham & Richmond: Route: Terminal 5 (bus stop 6) - Cargo Area - Terminal 4 - Hatton Cross - Faggs Rd - Feltham Station - Hanworth Library - Staines Rd - Twickenham (King St) - Richmond (Station & Lower Mortlake Lane). Timings: Buses leave Terminal 4 Mon-Fri every 10-15 mins 0425-0045. Saturdays every 10-15 mins 0425-0045. Sundays every 15-30 mins 0425-0045. Cost: Oyster Card/contactless fare £1.45. Cash not accepted. Free between the terminals and Hatton Cross. Timings: Buses leave the airport (T4) Mon-Sat at 0503, 0603, 0658, 0720, then every 15-20 mins until 2024, then every 30 mins until 2224. Sundays at 0445, 0545 and then every ~30 mins until 2205. Travel Times: To Hatton Cross 5 mins, Ashford 10 mins, Sunbury 20 mins & Walton 40 mins. Timings: Buses leave the airport (T4) Mon-Sat only at 0633, 0720, 0825, 0924, then every ~hour until 1925. No Sunday service. Travel Times: To Chertsey 45 mins, Addlestone 1:10. Bus 90 to Feltham & Northolt Route: Feltham (Leisure West) - Feltham High St (near Feltham train station) - Hatton Cross - Harlington Corner (Heathrow Airport North/A4) - Hayes & Harlington Train Station (for rail connections to Slough, Maidenhead, Taplow & London Paddington) - Hayes End (Crown) - Yeading (White Hart) - Northolt Underground Station. Timings: Buses run Mon-Sat 0440-0152 every 10-20 mins. Sundays every 20-30 mins 0540-0152. Buses leave Hatton Cross Heading South towards Feltham Mon-Sat every 10-20 mins 0506-0056. Sundays every 15-20 mins 0606-0056. Travel Time: To Feltham 12 mins. Bus 203 to Hounslow & Staines: Route: Hounslow Bus station - Hounslow, Bell, Hounslow West Underground Station - Hatton Cross Underground Station - Bedfont, Stanwell Rd - Stanwell, Happy Landing - Ashford Hospital - Staines Bus Station. Timings: Buses run 24 hrs. Buses leave Hatton Cross heading towards Kingston Mon-Fri every 8-30 mins 24 hrs a day. Saturdays every 10-30 mins. Sundays every 20-30 mins. Travel Times: To Heathrow Central Area 15 mins, Feltham Train Station 10 mins, Teddington 35 mins & Kingston 50 mins. Timings: Buses leave Hatton Cross daily every 20-30 mins 0424-0008. Timings: Buses leave Hatton Cross Mon-Fri every 10-15 mins 0430-0050. Saturdays every 10-15 mins 0430-0050. Sundays every 15-30 mins 0430-0050. Timings: Buses leave Hatton Cross Mon-Sat at 0459, 0559, 0658, 0720, then every 15-20 mins until 2024, then every 30 mins until 2224. Sundays at 0500, 0600 and then every ~30 mins until 2220. Travel Times: To Terminal 4 5 mins, Ashford 15 mins, Sunbury 25 mins & Walton 40 mins. Timings: Buses leave Hatton Cross Mon-Sat only at 0629, 0715, 0820, then every hour until 1921. No Sunday service. Travel Times: To Chertsey 50 mins, Addlestone 1:15. Timings: Buses leave Hatton Cross Mon-Fri: 0602, 0652, 0747, 0857, 1002, then every hour until 1402, 1457, 1557, 1657, 1812, then every hour until 2212, 2252 & 2352. Saturday: 0612, 0712, 0807, 0902, then every hour until 1702, 1802, 1912, then hourly until 2212, 2252 & 2352. Sundays & Holidays: 0612, 0712, 0807, 0902, then hourly until 1702, 1802, 1912 then hourly until 2212, 2252 & 2352. Buses depart from East Croydon to a similar schedule. First bus 0420, last bus 2200. Transfer times: To Teddington 30 mins, Kingston 35-40 mins, New Malden 50 mins, Sutton 60 mins & East Croydon 1 hour 20. Cost: Oyster Card/contactless fare £1.45. Cash not accepted. This bus is not free between Terminal 1, 2 & 3 and Hatton Cross. Bus H25 to Hanworth: Route: Hatton Cross - Bedfont Green - Feltham Station - Hanworth Park - Hanworth (Swan & Butts Farm Estate). Timings: Buses leave Hatton Cross Mon-Fri every 15-30 mins 0450-0055. Saturday every 20-30 mins 0450-0055. Sundays every ~30 mins 0450-0055. Bus H26 to Feltham Sparrow Farm: Route: Hatton Cross - Bedfont Green - Bedfont Lakes Business Park - Feltham Young Offender's Centre - Feltham Station - Feltham (Sparrow Farm). Timings: Buses leave Hatton Cross Mon-Sat every 20-30 mins 0437-0045. Sundays every ~30 mins 0437-0045. Hotel Hoppa: Hotel Hoppa runs 4 different routes, calling at each terminal 4 and 5 and a selection of the main hotels situated nearby. Many of these hotels are located at Heathrow Airport North. Hoppa Bus H51: Holiday Inn (M4 Junction 4), Novotel, Thistle & Crowne Plaza. Hoppa Bus H53: Jurys Hotel (Hatton Cross), London Heathrow Marriott, Radisson Edwardian & Sheraton Skyline. Hoppa Bus H54: Holiday Inn Heathrow, Park Inn, Renaissance & Sheraton Heathrow. Hoppa Bus H56: Holiday Inn Ariel, Hotel Ibis, Premier Inn Heathrow (Bath Rd) & Ramada Heathrow. Timings: The services run frequently, every 30 mins or so, from ~0435-2310. Cost: £4 one way. Up to 2 children aged under 15 travel free with each adult. To buy your ticket or for more information, visit the bus desk in the arrivals area at any terminal. Tickets can also be bought from the relevant hotel. Bedfont Lakes: A bus is run from Hatton Cross to Bedfont Lakes Business Park for employees. Heathrow Connect stopping service to London: A stopping train service which runs on the same track as the Heathrow Express. Route: Heathrow Terminal 4 - Heathrow (T1,2 & 3) - Hayes & Harlington - Southall - Hanwell - West Ealing - Ealing Broadway - London Paddington. Timings: Trains leave Heathrow Terminal 4 Mon-Sat every 30 mins 0523-0001. Sundays every 60 mins 0607-2307 & 0001. Trains leave London Paddington Mon-Sat every 30 mins 0442-2307. Sundays every 60 mins 0612-2312. Travel Times: Takes 31 mins to Paddington. Cost: To Paddington (London) £9.50 one-way, £19 return. To Hayes and Harlington £5.60 one way, To West Ealing £7.40, to Hanwell & Southall £6.30 & to Hayes & Harlington £5.60. Piccadilly Line Underground (known as the Tube): Heathrow airport has 2 Underground stations: one for Terminals 1 & 3, the other for Terminal 4. There is also a station at Hatton Cross. All provide regular train services on the Piccadilly Line into Central London. Route: Heathrow Terminal 4 - Heathrow Terminal 5 - Heathrow Terminal 1 & 3 - Hatton Cross - Hounslow West - Hounslow Central - Hounslow East - Osterley - Boston Manor - Northfields - South Ealing - Acton Town - Turnham Green - Hammersmith - Barons Court - Earl's Court - Gloucester Rd - South Kensington - Knightsbridge - Hyde Park Corner - Green Park - Piccadilly Circus - Leicester Square - Covent Garden - Holborn - Russel Square - King's Cross/St Pancras (for overground trains) - etc. TubeMap . Timings: Trains run every 5-9 mins 0500-2330. Travel Times: The average journey time to central London is 45-65 mins depending on destination. Cost: The one-way fare to Zone 1 (central London) is £5.70. If you arrive after 0930, a One Day Travelcard costs £8.90 (before 0930 it is £17!) & gives unlimited travel on London Underground tubes & buses. Ticket machines at the stations accept UK coins & most give change. Some accept UK notes (bills). Railair Buses to Reading, Woking & Watford: The Railair services provide a valuable link to and from rail services on the local and national rail network from Reading, Woking and Watford Junction. Reading Railair: Passengers must first transfer to Terminals 1 & 3. See above. Watford Railair: A service operates between Watford Junction railway station and all terminals at Heathrow (except T4). The service, which operates in conjunction with Virgin Trains services from the north west. Timings: runs every 30 mins 0530-2330. Travel Time: Takes 65 mins. Short Stay Parking: Recommended for stays up to 5 hrs. Costs: Up to 30 mins £2.30, 1 hour £3.90, 1-1½ hrs £5.80, 1½-2 hrs £7.40, 2-3 hrs £10.20, 4 hrs £13.50, 5 hrs £16.40, 6 hrs £20.30, 12 hrs £38.20, 24 hrs £44.50, 48 hrs £89. Each extra day £44.50. Special Weekend Rate: A special discounted weekend (1600 Friday-1000 Monday) pre-book rate of £35 for 3 days is available for customers who stay on a Saturday night. To take advantage of this offer call 0870 000 1 000 (UK) or +44 (0)121 410 5105 (from outside the UK). Operated By: APCOA 020 8745 7906. Baggage Storage: Left luggage facilities are available in the terminal, operated by the Excess baggage Company. £6 per item per 24 hrs. In Terminal 4 they are in the West End of arrivals and open 0530-2300. Updated Jun14. Last Visit Jan10. Location: Terminal 5 (currently under construction) is 26 km/16 Miles W of Central London, 9 km/6 Miles E of Windsor, 4 km/2 Miles NNE of Staines. Airport Overview: One enormous terminal with a bus station on the lower level. Car Parks attached. Airlines operating here are: British Airways (entire operation except flights to Bangkok, Singapore, Sydney, Helsinki, Italy, Spain, Gibraltar, Lisbon & Vienna. Bus Station Location: Terminal 5's bus and coach station is situated on the Arrivals forecourt, across the Interchange Plaza from the main terminal building. Bus N9 Night service to central London: Route: Heathrow Terminal 5 - Heathrow Airport Central - Heathrow Airport North - Harlington Corner (6 mins) - Cranford (Jarvis Hotel) - Hounslow West Tube station - Hounslow (Bell) - Hounslow Bus station (17 mins) - Isleworth (Busch Corner) - Brentford - Kew Bridge Station (26 mins) - Gunnersbury Station - Turnham Green Church - Stamford Brook Bus garage (32 mins) - Hammersmith Broadway Bus station (38 mins) - Kensington, Olympia - High St Kensington Tube station (43 mins) - Royal Albert Hall - Hyde Park Corner (49 mins) - Green Park Tube station - Piccadilly Circus (53 mins) - Trafalgar Square (Cockspur St) - Aldwych (1 hour). Timings: Buses leave the airport nightly Tue-Fri mornings at 2335 then every 20 mins until 0455. Sunday Night/Monday Morning every 20 mins 2355-0525. Friday Night/Saturday Morning every 20 mins 2355-0525. Saturday Night/Sunday Morning every 20 mins 2355-0525. Buses leave Aldwych nightly Tue-Fri mornings at 0005, 0020 then every 20 mins until 0520. Sunday Night/Monday Morning every 20 mins 2325-0520. Friday Night/Saturday Morning every 20 mins 0010-0520. Saturday Night/Sunday Morning every 20 mins 0005-0505 & 0535. Bus 51 to Addlestone & Brooklands: Route: Heathrow Terminal 5 (bus stop 9) - Staines Bus Station (12 mins) - Thorpe Park (Staines Rd) - Chertsey (Heriot Rd) - Chertsey (Clay Corner) - Addlestone (Victory Park) - Addlestone (Tesco, 48 mins) - Weybridge (The Ship) - Weybridge (Train Station) - Brooklands Rd/Summers Close - Byflet (Plough) - Manor Farm (Sanway Rd) - Byfleet Youth Club - Brooklands Tesco (72 mins). Timings: Buses leave Terminal 5 (bus stop 7) Mon-Sat at 0555, 0655, 0755, 0852, then every hour until 1452, 1605, 1710, 1810 (terminates at Addlestone Tesco) & 2010 (terminates at Addlestone Tesco). On Sundays, all buses terminate at Addlestone Tesco. Departures at 0655, 0850, 1050, 1250, 1450, 1650, 1850 & 2010. Buses leave Brooklands Tesco Mon-Sat every hour 0819-1419, 1526, 1626 & 1734. Sundays, buses leave Addlestone Tesco at 0643, 0743, then every 2 hrs until 1543, 1738, 1935 & 2110. Cost: Oyster cards and travel cards not accepted on this bus. Buses 60 & 61 to Datchet, Slough & Eton: Route: Heathrow Terminal 5 (bus stop 9) - Colnbrook (Old Station) - Poyle Ind Estate - Horton - Wraysbury - Sunnymeads - Ditton Rd/Horton Rd - Datchet (25 mins) - Slough Bus Station - Eton College - Eton Wick (55 mins). Note: Not all buses go beyond Slough. Timings: Buses leave Terminal 5 (bus stop 7) Mon-Fri at 0545, 0630, 0725, 0836, 0948, 1050, then every hour until 1450, 1610, 1710, 1825, 1925, 2025 & 2225. Saturdays at 0545, 0630, 0730, 0840, 0948, 1050, then every hour until 1450, 1610, 1710, 1825, 1925, 2025 & 2225. Sundays at 0545, 0715, 0840, 1050, 1250, 1450, 1715, 1825, 2025 & 2225. Buses leave Eton Wick Mon-Fri at 07250940, 1050, then every hour until 1550, 1715, 1817, 1925 & 2125. Saturdays at 0830, 0940, 1050, then every hour until 1550, 1715, 1817, 1925 & 2125. Sundays at 0940, 1150, 1350, 1550, 1715, 1925 & 2125. Buses leave Slough Bus Station 20-25 mins later. Bus 71 to Staines, Windsor & Slough: Route: Heathrow Terminal 5 (bus stop 9) - Staines Bus Station - Thorpe Rd - Pooley Green - Egham (Arndale Way) - Royal Holloway College - Englefield Green - Old Windsor - Windsor Hospitol - Windsor - Slough Bus & Train Station. Timings: Buses leave Terminal 5 (bus stop 7) Mon-Fri at 0610, 0645, 0720, 0750, 0825, 0900, then every 30 until 1400, 1435, 1510, 1545, 1645, 1715, 1800, 1845, 1940, 2040 & 2140. Saturdays at 0615, 0700, 0745, 0830, then every 30 until 1630, 1705, 1745, 1840, 1940, 2040 & 2140. Sundays every 60 mins 0810-1810, 1900, 1950, 2045 & 2145. Buses leave Slough bus station Mon-Sat every 30-60 mins 0450-2045. Sundays every 60 mins or so 0700-2145. Buses operate every 2 hrs on 26th December. Bus 77 to Slough & Windsor: Route: Heathrow Terminal 5 (bus stop 9) - Brands Hill - Langley - Slough Bus & Train Station - Windsor - Clewer - Dedworth Tesco. Timings: Buses leave Terminal 5 Mon-Fri at 0410, 0510, 0610, 0715, 0752, 0830, 0910, 0945 then every 30 mins until 1515 then every 30-65 mins until 2210. Saturdays at 0817, 0907, then every 30 mins until 1737 then every 30-60 mins until 2211. Sundays at 0816, 0911, 1001, then every ~60 mins until 2006. Buses leave Dedworth Tesco Mon-Fri every 30-60 mins 0445-2046. Saturdays every 30-60 mins 0703-2247. Sundays every ~60 mins 0652-2045. Travel Times: To Slough ~20 mins, Windsor ~30 mins & Dedworth 35 mins. Bus 78 to Slough & Britwell: Route: Heathrow Terminal 5 (bus stop 9) - Brands Hill - Axis Park - Langley Tamar Way - Trelawney Ave - Slough High St - Slough Bus & Train station - Salt Hill - Farnham Rd - Britwell (Shops). On Sundays, Sat nights & Holidays, buses continue to Burnham. Timings: Buses leave Terminal 5 Mon-Fri at 0544, 0637, 0740, then every 30-60 mins until 2335. Saturdays at 0544, 0644, 0732, then every 30-60 mins until 2336. Sundays at 0536, then every ~60 mins until 2336. Buses leave Britwell Mon-Sat every 30-60 mins 0435-2230. Sundays every ~60 mins 0640-2230. Bus 350 to Hayes: Route: Heathrow Terminal 5 - Colnbrook/Waterside - Hatch Lane/Bath Rd - Harmondsworth - West Drayton Police Station - West Drayton Train Station - Horton Rd - Stockley Park West - Roundwood Ave - Furzeground Way - Stockley Park East/The Square - Dawley Rd - Hays & Harlington Train Station. Timings: Buses leave Terminal 5 (bus stop 3) every 15-30 mins 0435-0030. Bus 423 to Hounslow: Route: Heathrow Terminal 5 (bus stop 7) - Longford White Horse - Heathrow Airport North - Bath Rd - Hatton Cross - Beavers Farm Estate - Hounslow Barracks - Hounslow (Bell) - Hounslow Bus Station. Timings: Buses leave T5 every 20-30 mins 0514-0014. Bus 482 to Hounslow & Southall: Route: Terminal 5 (bus stop 8) - Cargo Area - Terminal 4 - Hatton Cross - Hounslow West - Heston - Southall Town Hall. Timings: Buses leave Terminal 5 daily every 20-30 mins 0409-0053. Bus 490 to Feltham & Richmond: Route: Terminal 5 (bus stop 8) - Cargo Area - Terminal 4 - Hatton Cross - Faggs Rd - Feltham Station - Hanworth Library - Staines Rd - Twickenham (King St) - Richmond (Station & Lower Mortlake Lane). Timings: Buses leave the airport Mon-Fri every 10-15 mins 0415-0035. Saturdays every 10-15 mins 0415-0035. Sundays every 15-30 mins 0415-0035. Greenline Bus 724 to Harlow: Route: Terminal 5 (bus stop 9) - Heathrow Central Bus Station (Bay 2) - Hillingdon Hospital - Brunel University - Uxbridge (Belmont Rd) - Denham Station - Maple Cross - Rickmansworth Station - Croxley - Watford (Clarendon Rd stop 16) - Watford Junction Train Station - Garston - Chiswell Green - St Albans (St Peters St stop 13) - St Albans Station Interchange - Oaklands - Hatfield Town centre Market Place - Hatfield Station Interchange - Welwyn Garden City (Hospital & Bus Station bay 6) - Panshanger - Birch Green - Hertford North Station - Hertford Bus Station stop 4 - Ware - St Margarets Station - Harlow Bus Station. Timings: Departs Terminal 5 Mon-Fri at 0610, 0737, 0852, then every 60 mins or so until 1652, 1807, 2010, 2110 & 2220. Saturdays at 0610, 0752, then every 60 mins or so until 1852, 1950, 2110 & 2230. Sundays every 2 hrs 0912-1912, 2120 & 2250. Travel Times: To Harlow 2:40-3 hrs, St Albans ~1:35. Hotel Hoppa: Hotel Hoppa runs 6 different routes, calling at each terminal 4 and 5 and a selection of the main hotels situated nearby. Many of these hotels are located at Heathrow Airport North. Hoppa Bus H51: Holiday Inn (M4 Junction 4), Novotel, Thistle & Crowne Plaza. Hoppa Bus H53: Jurys Hotel (Hatton Cross), London Heathrow Marriott, Radisson Edwardian & Sheraton Skyline. Hoppa Bus H54: Holiday Inn Heathrow, Park Inn, Renaissance & Sheraton Heathrow. Hoppa Bus H55: Slough/Windsor Marriott & Quality Hotel Heathrow. Hoppa Bus H56: Holiday Inn Ariel, Hotel Ibis, Premier Inn Heathrow (Bath Rd) & Ramada Heathrow. Hoppa Bus H57: Travelodge Terminal 5. Hoppa Bus H58: Comfort Hotel & Premier Travel Inn (M4). Timings: The services run frequently, every 30 mins or so, from ~0435-2310. Cost: £4 one way. Up to 2 children aged under 15 travel free with each adult. To buy your ticket or for more information, visit the bus desk in the arrivals area at any terminal. Tickets can also be bought from the relevant hotel. Click here for more info. Railair Buses: Run to Reading & Watford, see the Train section below. Short Stay Parking: 30 mins £2.40, 1 hour £4.10, 90 mins £6.10, 2 hrs £7.70, 3 hrs £10.60, 4 hrs £13.90, 5 hrs £17.10, 6 hrs £21.10, 9 hrs £30.60, 12 hrs £39.60, 18 hrs £43.20, 24 hrs £45.20, 36 hrs £71.10, 48 hrs £90.40. Each extra 24 hrs €45.20. General: A large car park is connected to the terminal. Baggage Storage: Left Luggage facilities available at the Exces Baggae Company on the ground floor near UK arrivals. £6.50 per item for 24hrs. Opening hours 05630-2300 daily. Notes: There is a hotel booking desk on the ground floor. Several ATMs/Cash machines in the terminal. Updated Jun14 Visit. Last Visit Jun14.